This Sunday on Jazz Northwest on KPLU we'll showcase a wide variety of jazz talent from around Puget Sound to Vancouver and Victoria BC. Included are two new releases with a New York connection - Thomas Marriott with Ray Vega, and tenor saxophonist Roxy Coss (formerly of Seattle, now in New York), plus a new CD from Victoria BC singer Miranda Sage. 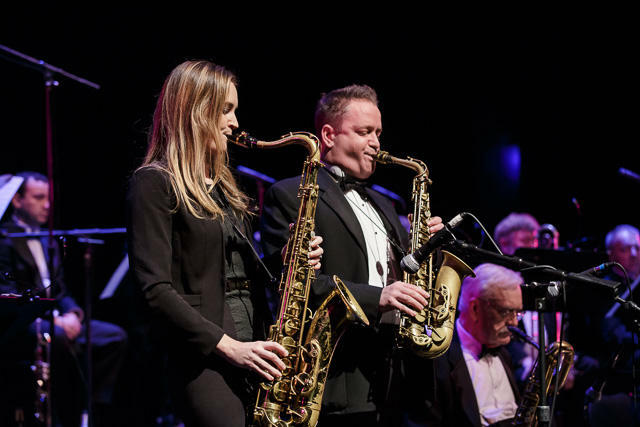 We'll hear two different ten-piece bands who will play music by veteran arrangers Bob Hammer and Milt Kleeb in separate upcoming engagements. We also highlight a couple of the bands playing the Tacoma Jazz Walk next Saturday (3/5). Jazz Northwest is produced by Jim Wilke for 88.5 KPLU. The program airs Sundays at 2 PM Pacific and streams at kplu.org. Past programs are available for streaming at jazznw.org. Next week's show will be a concert by The Seattle Repertory Jazz Orchestra featuring Terell Stafford on trumpet. An exciting group with blazing trumpet and sizzling organ trio played opening weekend of the Earshot Jazz Festival at Tula's in Seattle, and highlights from their first set will air on Jazz Northwest on Sunday, November 15 at 2 p.m. Pacific on 88.5 KPLU and streaming at kplu.org. 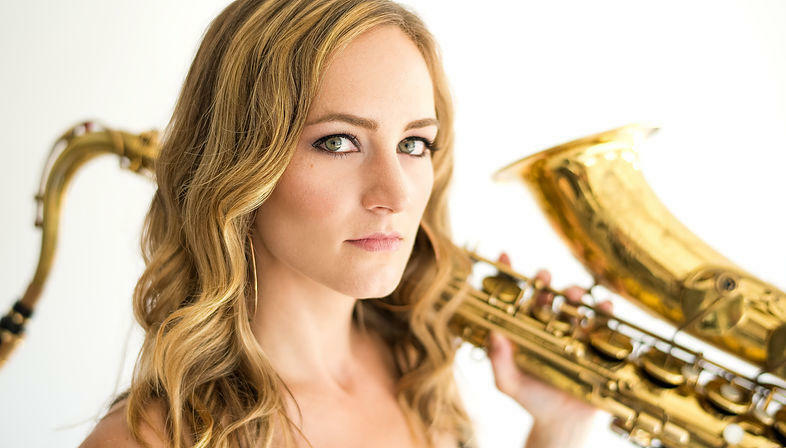 Saxophonist Roxy Coss was a guest soloist with the Seattle Repertory Jazz Orchestra in a November concert and she teamed with her former mentor Mark Taylor for a beautiful duet on Billy Strayhorn's A Flower is a Lovesome Thing. Most of the concert aired on last week's Jazz Northwest, but this performance was held over for this week's show. Roxy Coss played in the Garfield High School Band under Clarence Acox, and studied with Mark Taylor and Don Lanphere while still in Seattle. 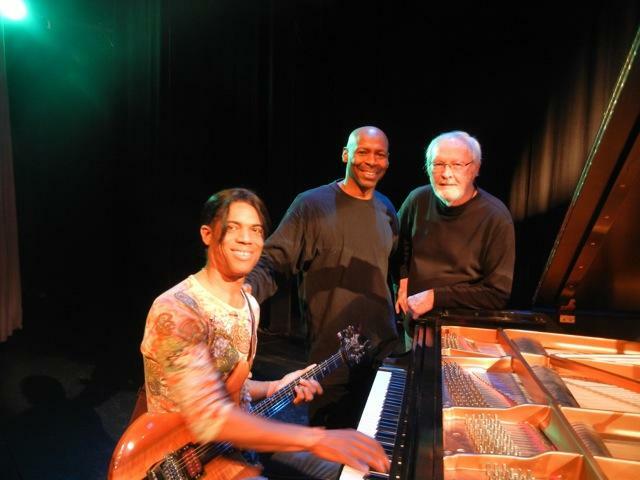 Take two imaginative, virtuoso jazz guitarists, blend and mix well and you have the recipe for this unique concert recorded last month at Kirkland Performance Center. Stanley Jordan is a master touch or tap-technique guitarist who has developed a world-wide enthusiastic following since he debuted on the Blue Note label in 1985. Kevin Eubanks is most widely known as the guitarist/leader of The Tonight Show Band and Jay Leno's sidekick, but he had extensive experience as a jazz guitarist before, and has resumed his solo career since leaving The Tonight Show. 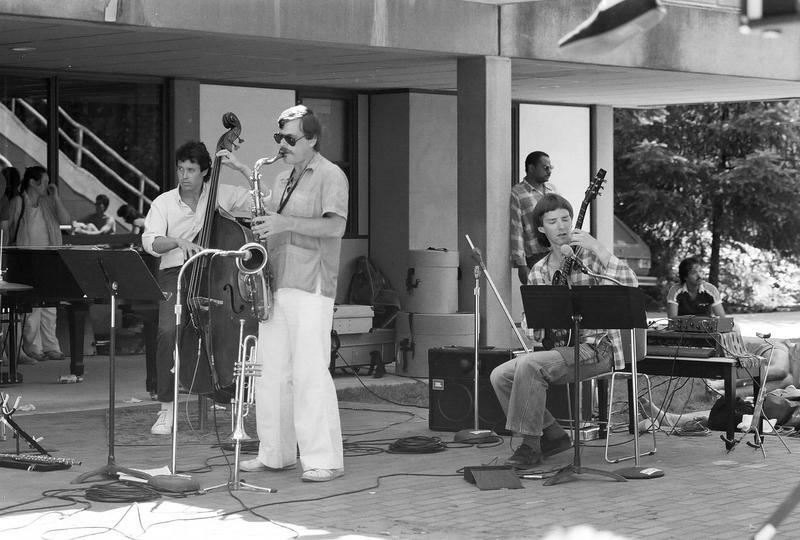 A photo from the 1984 Bellevue Jazz Festival brought back nice memories and a desire to have a reunion for four Northwest musicians. 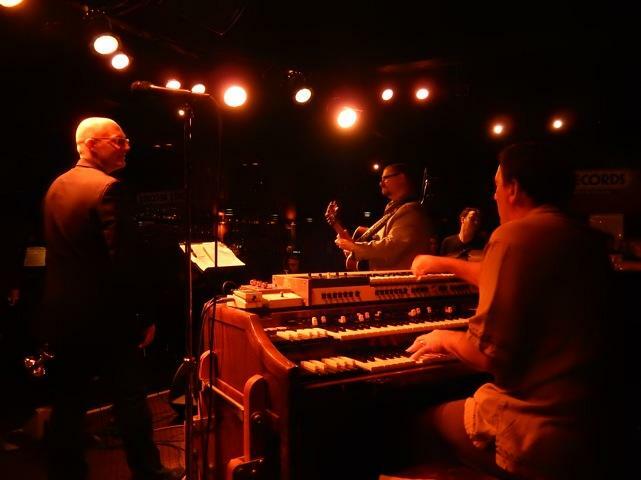 Jay Thomas, John Stowell, Bruce Phares and John Bishop hadn't played together as a group since the mid-80s but after a single rehearsal they said it was just like it was then, only better!